This 1,600 seat ballpark is located at the intersection of S. Washington Street and Memorial Highway in central Bismarck. The ballpark is a neighbor to Kiwanis Park, Bismarck Community Gardens and, in the winter, a hockey rink, ice skating rink and warming house. 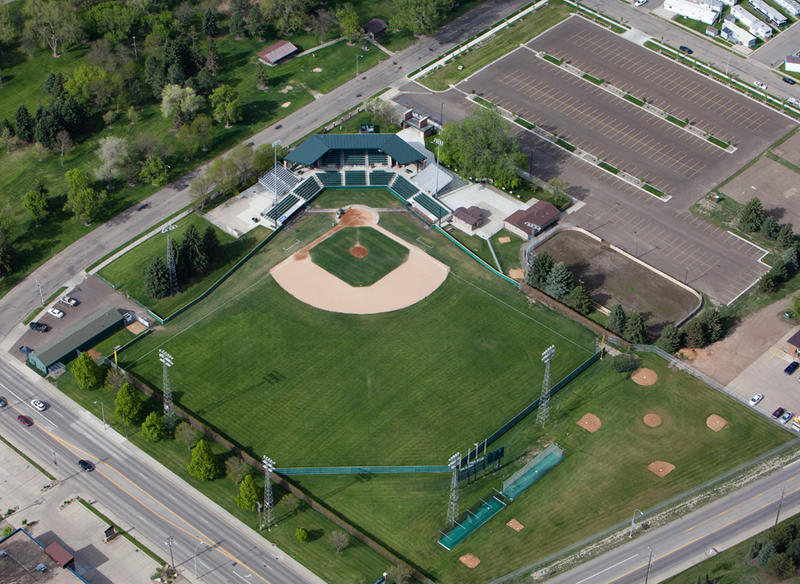 The Bismarck Municipal Ballpark is maintained and operated by Bismarck Parks and Recreation District. 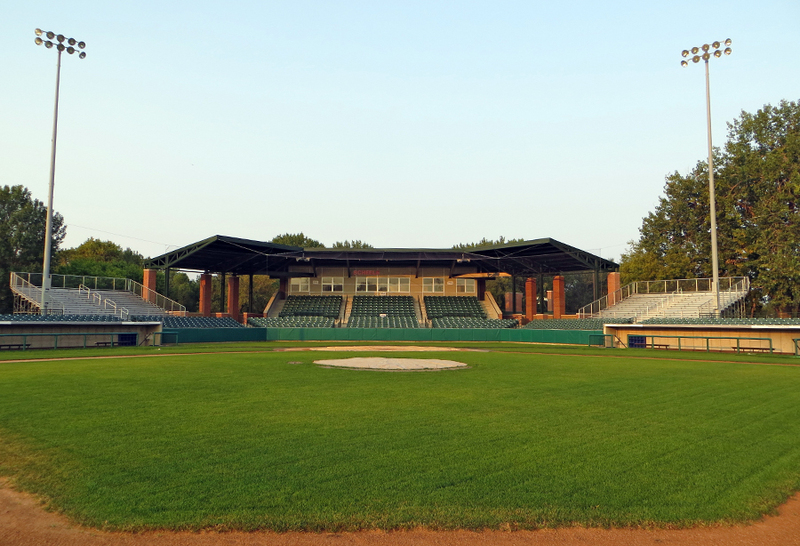 In the spring, the ballpark is used by the high school varsity teams from Bismarck High School, Century High School, Legacy High School, St. Mary’s High School and Shiloh Christian School. The University of Mary also plays a full schedule at the ballpark. During the summer, the ballpark is home to the Bismarck Governors and Bismarck Representatives (the 16-19 year old players) and Bismarck Babe Ruth teams (the 13-15 year old players). There are approximately 200 high school and college players that use the ballpark during their spring season and an average of 200 players in the 13-19 year old baseball program each summer. Starting in the summer of 2017, the Northwoods League will field a team in Bismarck. The league is made up of elite college players. For updates on the league, visit www.northwoodsleague.com. In 2011, with gifts from Puklich Chevrolet and a Matching Grant from Bismarck Parks and Recreation to the Bismarck Baseball Boosters, a new infield was constructed at the ballpark. 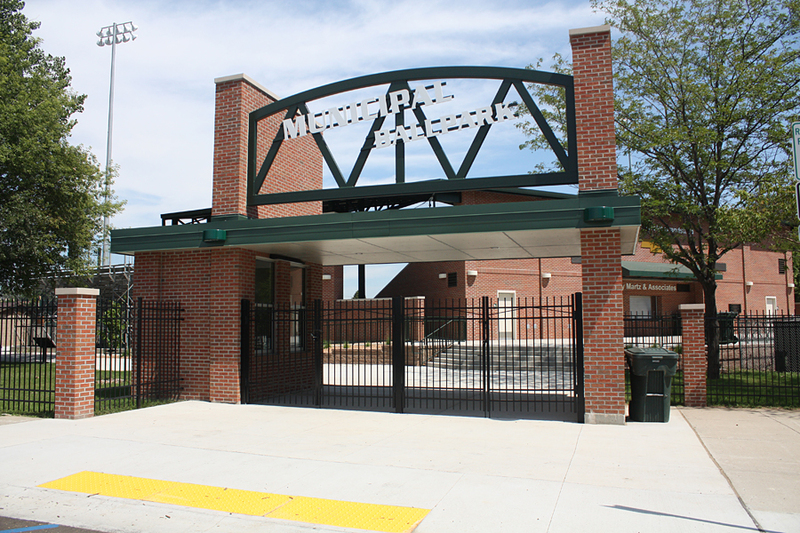 In 2013, a group of baseball enthusiasts started a capital campaign to continue facility improvements. 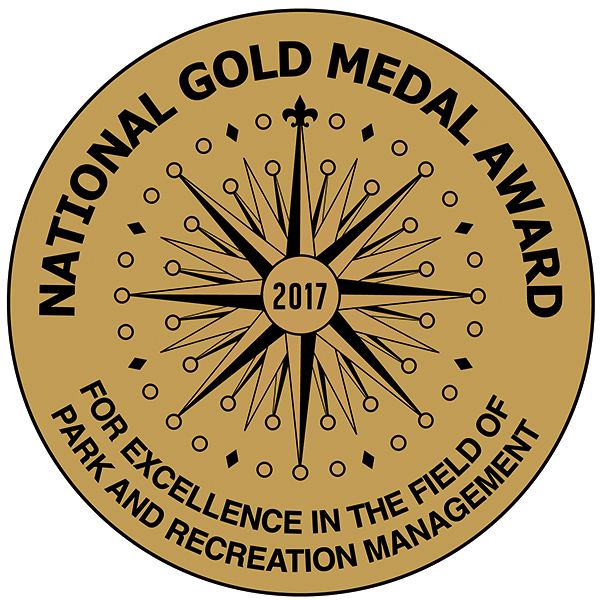 In 2014, $1.3 million in donations from 231 individuals and 136 businesses helped renovate the Bismarck Municipal Ballpark. 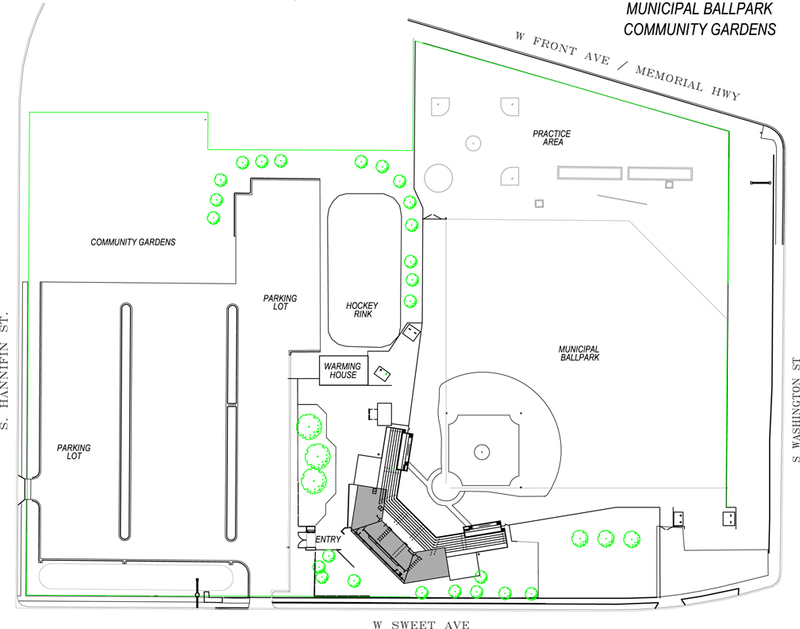 Improvements included a new, covered grandstand with stadium seats, a new concessions area, restrooms and press box. Additional improvements include adjustments to the outfield fence, new dugouts and the addition of practice/pre-game warm-up facilities. The upgrades expanded the seating capacity to 1,600 (and, with movable bleachers, up to 2,000 capacity) to allow hosting of major events, a history of the ballpark, and an overall improved baseball and ballpark atmosphere. This special program allows you to have a name of your choosing placed on one stadium seat in the new renovated Bismarck Municipal Ballpark grandstand. The name will be placed on the back of the seat. Buy one seat. Buy a seat in honor or memory or celebration of someone. Buy a seat for each member of your family. The cost for each seat is $350. All Buy A Seat names will be placed permanently on a stadium seat and will also be listed permanently on a special section of the Wall of Honor at the ballpark. All donations are tax deductible. Payments are made to the Bismarck Recreation Council a 501(c)3 organization. Bismarck has a rich baseball history. Bismarck’s American Legion Lloyd Spetz Post No. 1 started the American Legion Baseball program in Bismarck in 1928. Thousands of baseball players have called the Municipal Ballpark “their” baseball field. The American Legion ran the baseball program in Bismarck for many years. In 1996, Bismarck Parks and Recreation was asked to get involved to manage the day to day aspects of the baseball program. Additionally, several semi-pro leagues, including the Prairie League have called the ballpark and Bismarck their baseball home. Undoubtedly the most famous baseball player to play the game in Bismarck was Leroy “Satchel” Paige, one of the best pitchers to ever throw a baseball. Paige broke the color barrier in baseball years before Jackie Robinson and played semi-pro baseball in Bismarck from 1933-1935, leading the team to the 1935 national semi-pro championship. It was indeed a moment in time for Paige, for Bismarck’s rich baseball history and for several other black players who were barred from the majors. Paige would go on to a stellar baseball career, and was inducted into the Hall of Fame in 1971. Today, the Municipal Ballpark is still in the same location where Paige played, although the ballpark was reconfigured in 1992.